I’ve decided to keep the trends going this week and focus on one trend that I will be partaking in within the next month. Yup, I’m looking at three wedding trends ahead of my November nuptials. I selected a pair of statement earrings which is not only a big fall jewelry trend, but also as I just found out, a big wedding jewelry trend. But, let’s not focus on that look as there are three other trends that are going to last you for your walk down the aisle and beyond. Geometric wedding cakes are all the rage right now, so it comes as no surprise that the look has made the jump into wedding fashion. 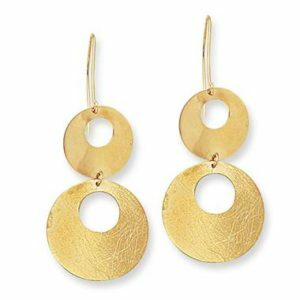 Make a big impression at the reception with these geometric hoop earrings. Baguettes in wedding jewelry are nothing new, but this time the focus is all on them. Normally, baguettes play second fiddle to an impressive center stone, but the great part about the baguette trend is that this time they’re going from the minor league to the big league. If demure is your thing, put on these baguette earrings and let the love shine through! Every bride wants to feel pretty on their wedding day which is why oh-so-pretty pastels are making a big mark in this year’s bridal trends. 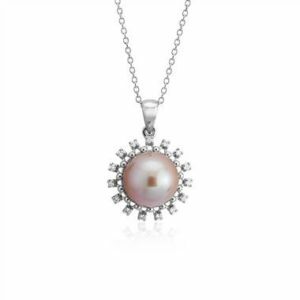 Although we’re partial to something blue, how can you not love this pretty in pink pearl to wear on the big day? 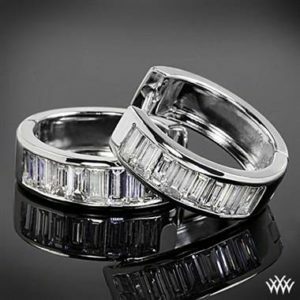 Our favorite part about these trends is that you will be enjoying them long after your wedding day. 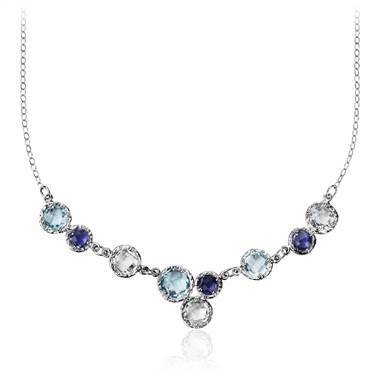 They can easily transition from your wedding day, to your anniversary to valued heirloom jewelry worth passing down. Your groom won’t be the only one from your wedding day who will pass the test of time.